ended, she can freely return to the original Church sui iuris. One Bishop replies to Open letter to Bishops: Promises Support! You have to pray as if everything depended on God and you have to work as if everything depended on you. When you have exhausted all humanly possible efforts gently, kindly, earnestly and honestly and still FAIL, what else will you do? I don’t know what you will do. But I normally give up all hope, admit failure, admit my total inability, my bankruptcy, remembering the Lord’s admonition to call yourself a “useless servant” and try to muster all possible strength to accept what the Lord pleases to give following again his own example: “Let thy will be done.” Then miracle happens. It happened so many times in my life, at least I felt so, when I received that letter. A very fine Good Morning to you and a Blessed Sunday! I have gone through your very interesting lines. I liked very much your comparison of Simon of Cyrene. Very good. Such Simons also do have a role in the way of the cross and on the path to Salvation too! Your arguments – especially on the theology of family – are valid. As you know whenever there is a chance for me personally, I hold on to that position. The Church should do everything to join the families and not to separate them. Your finding, with reference to that US circular (Angadiath’s letter) was not in the minutes or proceedings of the Synod, is very clever. Kudos! Today I feel extremely proud of you and also really thankful to the Lord for you. It is not for your supporting me or agreeing with me. Both you and I could be wrong in many things, even with the best of intentions. But you today proved that you have the courage to call a spade a spade, that you have the Jesus-like quality of Frankly Speaking (Palam Locutus sum). Without that kind of transparency how can any one be a true follower of Jesus, most of all or worst of all, call oneself a bishop? You were the first respondent to that article, among the twenty, and now you happen to be the first to this Open Letter to Indian Bishops also. 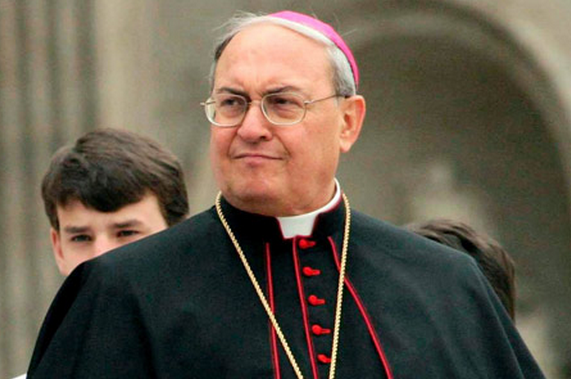 I really wish and pray that your example becomes widely contagious among bishops. The word catholic literally means "universal," as in "the universal church." It originally was applied to all Christians because we are all part of the universal church in the way that we are all members of the Body of Christ. The Latin word is catholicus, and in Greek it is katholikos, from the Greek phrase meaning "on the whole, according to the whole or in general." One of the meanings of word in English is "including a wide variety of things; all-embracing." Catholic was first used to describe the Christian Church in the early 2nd century to emphasize its universal scope. 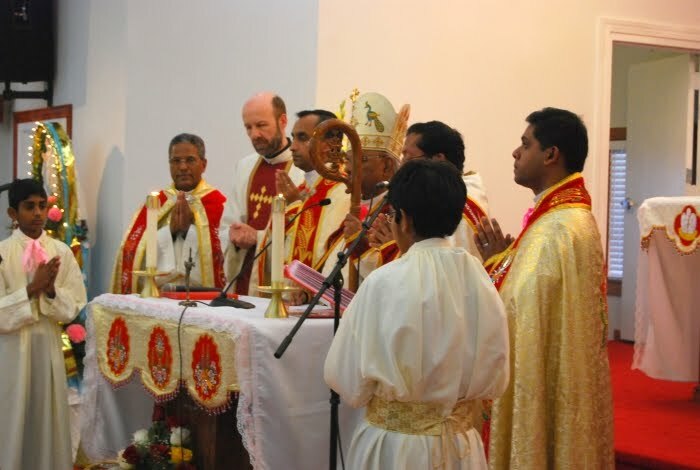 When one of the pillars of the Pastoral Plan of the Catholic Church is Ecumenism and Inter-Religious Dialogue, in an increasingly pluralistic society in India and the US, it is sheer madness to talk of pure blood marriages in Kottayam Diocese and among Knananites in India and US. However, for the sake of authenticity it would be better to get a signed copy of the 19th Sept. 2014 Circular of Bishop Angadiath of Chicago. It is also to be proved that Cardinal Alencherry of Ernakulam has approved of this of practice befitting Muhammad bin Tughluq! Regards. I have already published the signed article of Bishops Angadiath which is below my email as here. See below. As for Cardinal Alencherry’ approval I already wrote to the Cardinal and his two other bishops helping him, asking if he gave his approval but has not received a reply. 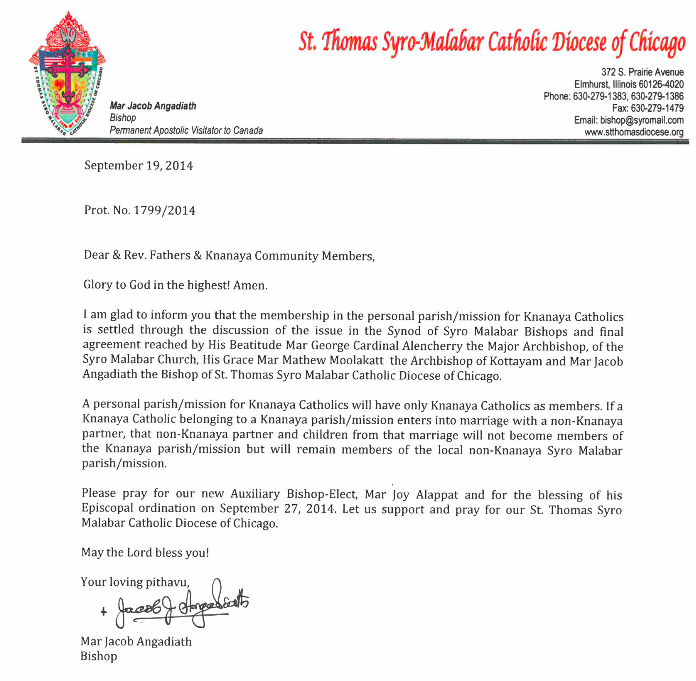 Only then I wrote to Chicago and got the signed letter in Bishop’s letter pad circulated among Knanaya parishes which is given below. As for pure blood: Jesus himself didn’t have pure blood, if we go by the theory of its promoters. Few of Jesus’ grand mothers were prostitutes or non Jews. See below what I said on Aug.3rd 2013 in Chicago. And last but not the least, what about the purity of blood in Jesus’ own genealogy? If we go by the standard of Knananites, even Jesus the Saviour of the world cannot claim purity of blood because four women in his ancestry – his great Grandmas — were not even Jesus’ Blood Line Jews but gentiles and shady characters: Tamar was a Cananite, widowed twice, nay she disguised herself as a prostitute and got pregnant by Judha her own Father-in-law. Rahab was another gentile prostitute of Jericho. Ruth was a Moabite non-Jew and the 4th, Bathsheba was the wife of Uriah the Hittite and mother of Solomon. Will they discuss Synod topic, Threats to Kerala Catholic Families? 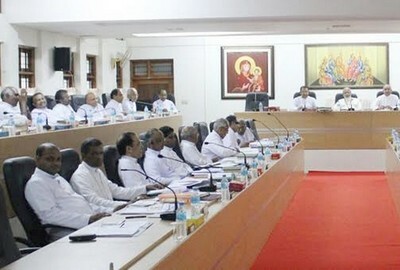 Forty three Kerala Bishops are sitting for two weeks till Aug. 29, in Church’s headquarters in St. Thomas Mount, Kakkanad for what is known as Syro-Malabar Synod. That means they can and they will come together for their pet projects; they may not do it for the much more serious two-year Family Synod Survey project ordered by Pope Francis. See the contrast! They did not do a family survey last year, nor did they do it this year. The Pope asked the whole Church in India, that is, the CBCI (Catholic Bishops’ Conference of India) to do the survey. 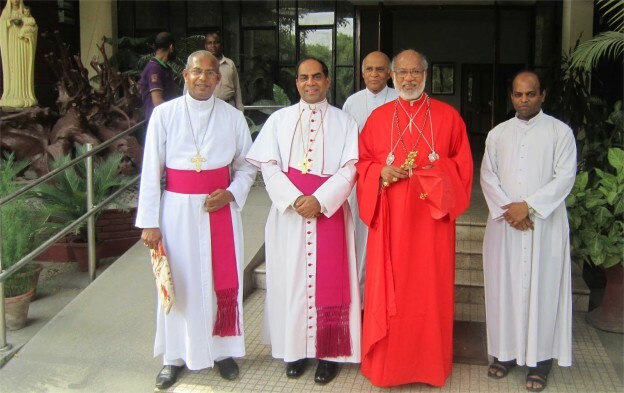 Its President is Cardinal Baselius Cleemis of Trivandrum. The CCV editor wrote to him beginning of last month asking if he conducted any survey, since there was a controversy and doubts, in response to the Pope. We were not lucky to receive a reply, not even an acknowledgement from him. 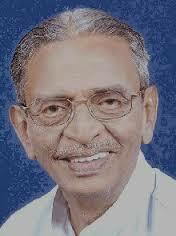 Last week a certain Biju Uthup from Bangalore personally went to TVM after sending advance letters. Yet he could not meet the Cardinal. He asked the one in the office: “Why are letters not answered? Are we second class citizens?” According to Uthup the Cardinal’s office is in receipt of all letters, Uthup’s and CCV Editor’s. In the meantime the Latin Church, we were told, did a survey on their own, Rite specific, without any publicity. Cardinal Oswald Gracias of Bombay and Bishop Lawrence Pius, Chairman of the Latin Church Family commission wrote to CCV editor complaining how we failed to know about it. How could we without being informed? To this day CCV has not seen a questionnaire distributed. Bombay’s cardinal wrote without our writing to him about the survey. Here again the contrast is, we wrote to the two Kerala cardinals Mar Alencherry and Mar Cleemis but have not received a reply to this day. The question that comes up is this: If this is the way Church Citizens are going to be treated, without elementary courtesy, should the concerned Citizens continue to write to our so called bishops who call themselves pastors but adamantly refuse to answer letters and refuse to dialogue with their flock and therefore do not have the “smell of the sheep” in the words of Francis? You readers think out your own answers. Why silence on burning Synod Issue? In any case it is good to hear the Kerala Synod of 43 bishops are focusing on youth issues and nation building. But what about broken Syro-Malabar families, torn to pieces in Kottayam diocese, Kerala, Delhi and Chicago due to Endogamy producing divisive families? Bishops have been deluged with questions and petitions ever since Bishop Angadiath of Chicago, Archbishop Moolakat of Kottayam and His Beatitude, (as referred to in Bp. Angadiath’s circular) Alenchery of Ernakulam sent the joint circular of Sept.19th 2014 permitting and promoting (or should we say cultivating?) 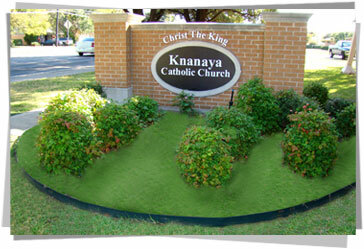 pure blood Knanaya parishes in Chicago? 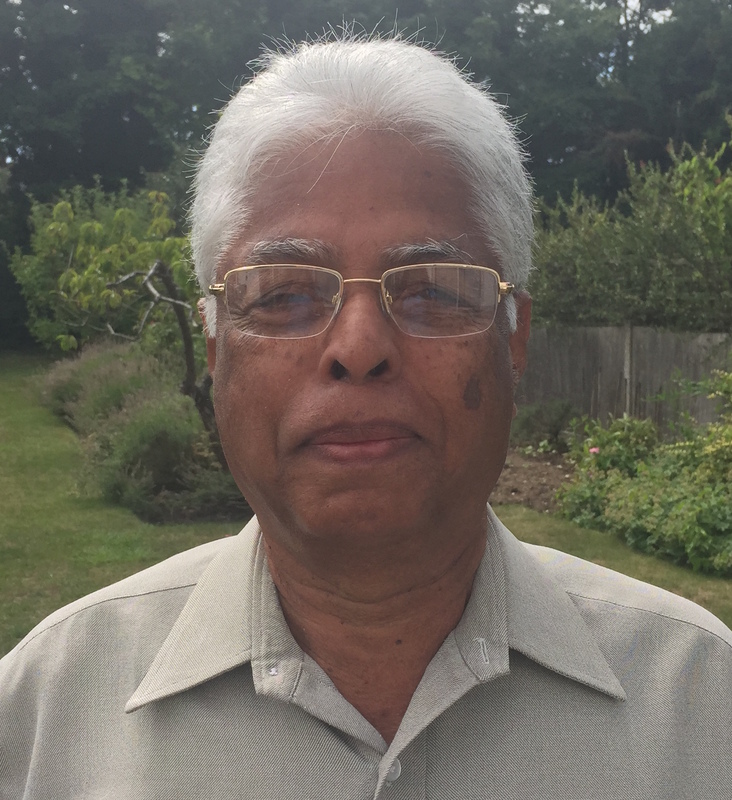 A Canonical case filed by All American Knanaya Association (KANA) leader and Organiser, stationed in NY, is going on demanding Bishop Angadiath, to withdraw that circular. In spite of bringing all these facts to the direct attention of Kerala bishops and the CBCI at large, not a single bishop has reacted till today, except Archbishop Kuriacose Baranikulangara of Faridabad, Delhi. Why? Why? Again Why? What do they want to convey by their deafening SILENCE? Or should we say contemptuous silence? One, who keeps quiet, says nothing (Qui tacet, nihil dicit) is the only rational conclusion we can draw. It is against this context, Church Citizens ask again and again: Why do Bishops stick to their ominous and scandalous silence to repeated pleas and petitions of the faithful, now for two years? What about building well-founded Christian families, which is what Pope Francis is all concerned about, which alone can be the only SACRED TABERNACLES, witnessing to the living presence of Jesus in this world? Christian Families, where father, mother and children live in harmony are the sacred tabernacles where Jesus’ presence is felt and presented to the whole world, round the clock, not the tabernacles of gold and silver. It is for this reason the family is called the Domestic Church. Churches built of brick and mortar are dead structures without the living presence of Jesus, nor conceived by Him and without good Catholic families, any number of tabernacles in Churches are of no use or are fruitless. The living presence of Jesus is only made manifest when families live together or get together in his name regularly to know and support each other. It is done in a spectacular manner when His followers gather together in hundreds or thousands to serve especially the marginalized section of society, the oppressed, suppressed, exploited, the sick and hungry. His presence needs not be that manifest in political rallies even when organized, by the well-to-do hierarchical sections. But the living tabernacle of Jesus can be found even in the poorest families, with or without a roof over their head. These families alone deserve to be called Domestic Churches, not the spectacular constructions like the Edappally Church. This being the case, why are the Churches in Kerala, or the Kerala Bishops’ Synod has not thought it fit to conduct a survey of those on the pews, to listen to what the poor man, the Lazaruses in the “poor church of the poor” of Francis have got to say – no matter whether “good, bad or ugly” ? 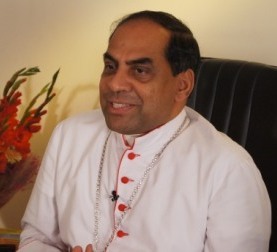 Therefore If the on-going Synod does not even open its mouth on Pure-blood marriages which definitely destroys Christian families (Three bishops’ joint circular cultivates it) and on other inter-rite frictions (The fact that the 3 Rites can’t conduct a joint survey is proof that frictions exist), neither the Latin Church nor the Kerala Churches, have any right to send anyone as their representative to Rome Synod. As doctors of the Field Hospital called the Church in India, let them first prescribe the remedy for the mortal cancer called “Endogamy” which is afflicting nearly two lakh members of Catholic families in India and America. The patients who were crying for treatment have a right to hear what medicines they are going to propose at the Synod. What they propose should be the result of their consultation with the suffering patients. But to this day they have not consulted the affected patients. 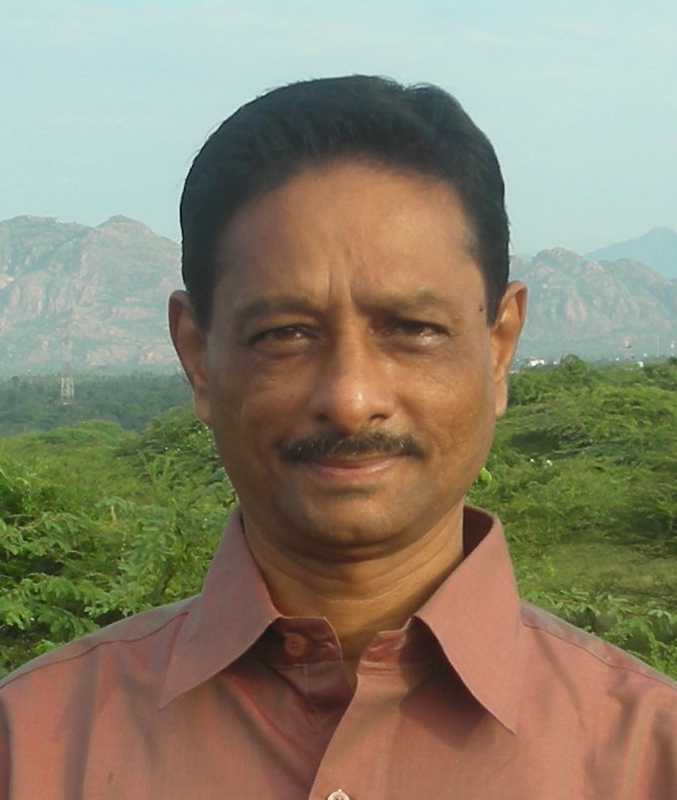 Therefore the option left to Church Citizens in Kerala is to organize a massive protest with placards in front of the on-going Synod at Kakkanad if time permits, or at designated bishop’s palaces or at airports where they are flying from, to prevent any bishop to go to Rome more as a picnic tour group than as participants of a Synod. In addition the faithful may think of a mass petition signed by Knanayas and supporters to be sent to the Synod secretary Cardinal Baldasseri and to the Pope directly. So, wake up Church Citizens in Kerala, make your protest loud and clear and make it thunder first in the ears of the Synod Fathers sitting in Kakkanad. Depending on the Synod’s reaction, let the Church citizens plan their action programme till they are ready to fly to Rome drawing inspiration from Jesus. May the Carpenter of Nazareth in his thirties, who appeared in two contrasting or conflicting roles: as “Sweet Jesus meek and mild” and “bitter Jesus rough and wild” with whip in hand, inspire them to act according to the needs of changing circumstances. I was, more or less, a church goer ever since my settling down in Kanjirapally in November 2000 with a view to integrating myself with the local milieu. Being physically tired of waking up as early as 5.00 a.m. to attend the Sunday Mass with ‘sapra’ at 6.30 a.m. self and spouse started attending the Mass at 10.00 a.m. Everything was going on fine till a new vicar, who was also a Chancellor of the diocese, took charge. On the first Sunday of his arrival, he tagged two baptisms along with the Mass at 10 .00 A.M which dragged on till noon. To cap it all, he asked the mothers to stay back in the church; Sunday being the day of Sabbath. While he would have his lunch provided by the local convent, unless we return home and prepare food, we would have been forced to go hungry. From that day onwards I gave a wide berth to the Sunday Mass at the parish church. On an occasion I had to tell the local bishop that any Mass or function of the church, which might last more than 45 minutes would not be acceptable to me. He did not raise any objection in the matter. I have not faced any adverse consequences in not attending the Sunday Mass for the last 10 years. The people around are aware of my stand. The “anointed” hero above had also announced that he would be undertaking a collection drive for some dubious purposes along with the blessing of homes of the parishioner’s. Tactfully he was denied of access to my home. On all matters his word must be treated as final. The not‐ so‐ well‐to‐do parishioners had to fund the “chosen” one’s many futile and idiosyncratic projects. While in UK in 2005 I attended a Sunday Mas in the Holy Rosary Catholic Church, Sutton. The first Mass at 8.30 a.m. ended at 9.00 AM sharp including the sermon and the receipt of the Eucharist. There, for the first time, I saw people sipping the consecrated wine direct from the chalice along with the Host. The most surprising experience was seeing the smiling celebrant waiting at the door of the church greeting the congregation. This experience became handy in the aforesaid encounter with the bishop. On a Wednesday evening in this April, we got the news of a death in the family. Someone wanted to pray in a nearby Catholic Church but found it locked. There was nobody around the church when we reached it around 6.00 p.m. We drove around Cheam and Sutton looking for a church of any denomination, but found all of them shuttered. It was found subsequently. that the churches of all Christian denominations have holiday on Wednesday in the area. On the next day, i.e. Thursday, we reached St. Christopher, Catholic Church, Tabor Gardens, Cheam at 8. 30 a.m. and found less than a dozen elderly people, mostly ladies, praying. On being told of the loss in the family, they dedicated the prayer for the departed soul. The Mass at 9.00 a.m. ended by 9.20 a.m. The priest did not hog the whole affair but gave the women assisting him due consideration. There is no morning service on Saturday, the Mass at 6.00 p.m. is the first Mass of the ensuing Sunday. The weekday Mass on Monday is at 10.00 a.m. On other days, i.e. Tuesday, Thursday, and Friday, the Mass commences at 9.00 a.m. The masses invariably lasts for less than half‐an‐hour all assisted by ladies. The priest thanks the participants after the service. After the Friday Mass I was invited for a repast, which I politely declined. Everybody seems to be very courteous. The timing for Sunday; first Mass 8.30 a.m, The second at 10.00 AM for children with catechism (no prolonged Sunday catechism classes lasting hours) and the last one at 12.00 noon. The priest at the Cheam Church being elderly, the Sunday Mass I attended lasted about 40 minutes with almost every one of the participants, about 50, receiving the Holy Communion. While the Host is given by the officiating priest, wine is given by pairs of men and women standing on both sides of the priest. In addition to thanking the congregation from the front of the alter, the priest came down to the door of the church shaking hands of each and every one with a smiling face. What a contrast to the behaviour of our haughty Syrian Catholic priests in Kerala with the alleged hoary heritage of two thousand years of Christianity. They care a tuppence to the message of love compassion and humanness enunciated by Jesus. The authoritarian attitudes and the lack of respect and consideration to the members of the Church, it's very backbone, especially to the disadvantaged, by many clerics are unwelcome tendencies to say the least. Here in UK the church goes to the people. In Kerala, laity is expected to be at the bid call of the clergy and toe the line of the Church with implicit obedience and demure. Their life problems are of no concern to the church leadership. The Ecclesiastics by and large arrogates themselves as the embodiment of all wisdom. It may be better if they are aware that in this 21st century, with information available with the touch of finger, even a child in the primary school is well ahead in the field of knowledge. In the existing order of things in the Kerala Church, only the privileged and the powerful are treated with deference; the ordinary folk are mostly berated and treated with contempt, at best with condescension. There is no social or financial accountability in the system. One often wonders whether the dioceses in Kerala are bent upon becoming stand alone commercial and financial agglomerates to the exclusion of the teaching of Jesus. I haven’t come across any Church procession during the course of my long duration four visits in these parts of U. K. The people here may not be of churching type but the courtesies shown while walking on the streets, crossing the roads or driving the vehicles, standing in line at the supermarket counter are examples of their manners, which are worthy of emulation. I had the opportunity to be in the Westminster Cathedral during a Sunday Mass. The whole ambiance of the church, with diffused lighting, soothing music, low key intonations, unhurried service and uncluttered (of statues) space, instill peace and tranquility to the whole being. Everyone of the participating members sit quietly, no bowing and kneeling, no wild gesticulations. It is with reluctance that I left the Church. Incidentally I observed two conspicuous notice boards urging people to enjoy freshly made food at the Cathedral cafeteria. How can one get any concentration and uplifting of mind during the unduly prolonged Qurbana with mishmash of meaningless and repetitive prayers lifted and copied, God knows, from where. The worship does not ennoble the mind; it does not give priority to the messages of Jesus? Why the word “debt”, connoting a purely commercial transaction, in the prayer, beginning with “ Our Father” taught by Jesus himself (Matthew) has been deliberately interpolated with the word “sin”. One should applaud the gumption of the priest who did correct the words of the Saviour himself. One wonders whether the foundation of the edifice that is the church is built on the so called “fall of man”, the primeval myth. Is it because “sin” and guilt is the stick with which the Catholic Church controls the laity, the “goats”? One may feel a shudder even to think of the insufferable church ceremonies in connection with marriages (to quote Bernard Shah ‘the public confession of a private sin’), “water dunking“ (the expression for baptism, borrowed from a writer in the Guardian (U. K.) and all other irritatingly time consuming rites of the Kerala Church. A religion that fosters harmony and peace in the human domain; that fosters overall happiness of people; that recognises the beauty of the nature around us, seems to be preferable to the one that harps on sin, hell and damnation. A religion that exploits the inherent anxiety and fear, mental disequilibrium, disharmony and uncertainty in the human psyche may better be kept at a safe distance. A religion that denies the wonder that is life and degrades its normal and natural activities as sin; that glorify poverty and suffering may not be everyone’s cup of tea. Sitting and contemplating quietly under a leafy tree without being disturbed either by the noisy and gesticulating crowd or the whirling dervishes, may be an experience worth looking for. The smiling face of a child, a beautiful human being, a freshly opened flower, a dew laden blade of grass, glow worms flitting by in a dark night, a star studded clear sky, the rays of the morning sun peeping over the nearby hill, the varied hues of the setting sun, soothing music and sublime artistic creations could give peace and tranquility. Why should consciousness and faculties be surrendered to some meaningless charades and melodrama. Despite the uncertainties and phobias, disappointments arising out of unbridled desires and expectations, this life is all what we seem to have. It defies common sense to view the body an abode of evil and prone to sin. One can create hell on the earth and make one’s existence miserable by believing in phantoms emerging from thin air. The published articles are the personal views of Knanaya Association of North America (KANA) and its officers. No responsibility or liability shall attach itself to KANA, or to its administrators for any or all of the articles or comments placed here. 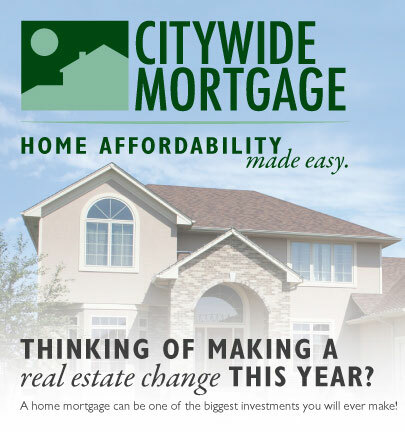 Publishing of an article or comment here does not involve acceptance or agreement with the contents on the part of the above mentioned parties. Articles, reports and news published in this website or blogspot carry the views and perceptions of the authors or sources concerned, who only are responsible for their content. Kanachicago© 2015. All Rights Reserved.